The richer a man’s vocabulary, the greater his ability to develop and elaborate thought. The same principle applies to music as it does to language. Yet in recent centuries, the “artificial” musical scale used in western society, called “tempered” (which was purely a compromise aimed at simplifying the process of manufacturing instruments), has considerably limited the possibilities of expression for both composers and musicians. 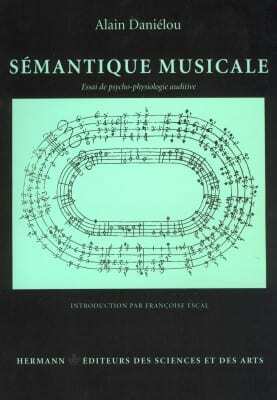 After years of research and experimentation in Indian modal music, Alain Daniélou’s work, “Sémantique Musicale”, offers a completely revolutionary theory.